← My Favorite Corned Beef Technique ~ oven roasted! This is my favorite banana bread recipe. It makes just one little loaf ~ I use the disposable mini loaf pan that measure about 5 1/2 X 3 X 2. It’s not too sweet and the addition of chocolate chips and pecans is optional; we just happen to like it this way. 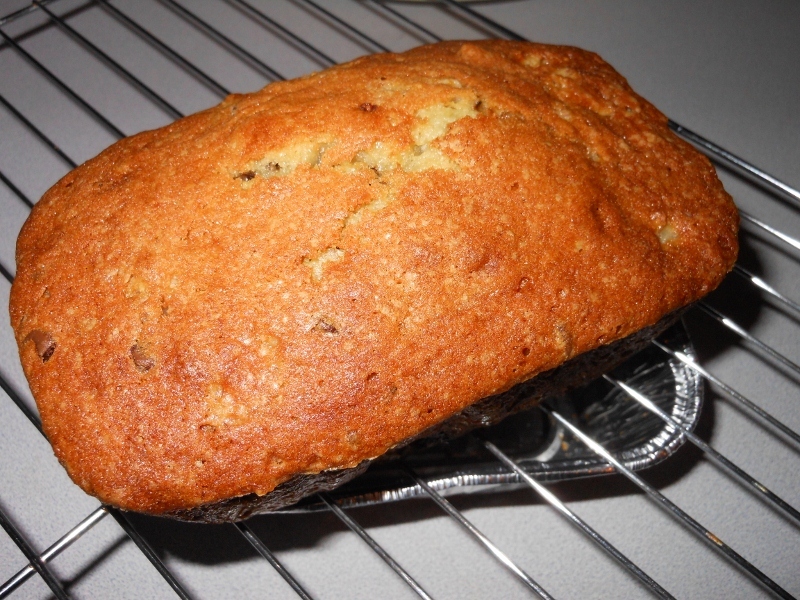 I sometimes make several loaves when I have lots of bananas; this freezes beautifully. This is especially great to make if the oven is already going and that lonely banana in the corner is threatening to draw fruit flies! Cream together butter and sugar. Add egg and vanilla to creamed mixture. Stir together flour and baking soda and add to creamed mixture. Thinly slice banana and stir into batter. 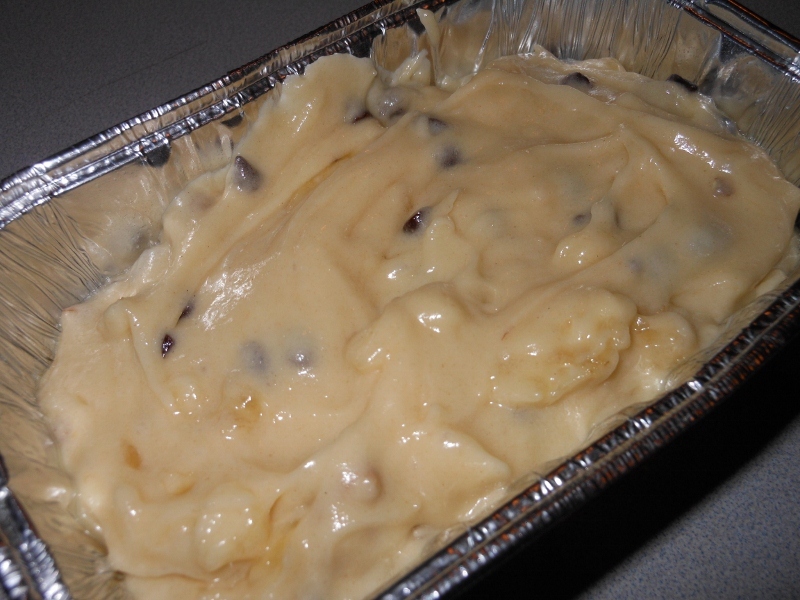 Gently fold in chocolate chips and pecans. Pour into greased mini loaf pan. Bake at 325 degrees for about 50 minutes. Allow to cool for 5 – 10 minutes; remove from pan and cool completely on wire rack. 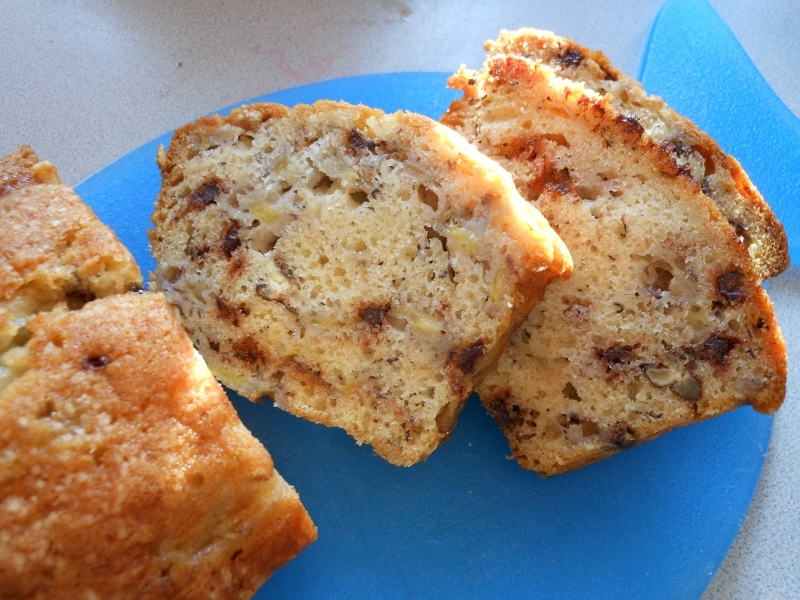 This entry was posted in Breads and Rolls, Recipes and tagged banana, banana bread, bread, chocolate chips, food, loaf, mini, nuts, pecans, quick bread, recipe. Bookmark the permalink.